>> Can you just do 5% Better? Last year, I attended a conference on a cruise ship. Honestly, it was ever as bit cool as you would imagine. 6 days surrounded by some of the greatest minds on blogging and podcasting. You bet that I paid a great deal of attention and had some awesome one on one conversations. There were only 40 of us total in the group, so it was hyper focused attention. Today I want to share one single tip with you that really impacted me. It comes from Chris Brogan. But before I get to the tip, let me ask you a question. Can you relate to this thought? If only I had as much blog traffic as person X. If only my business was as big as business X.
I am only making X dollars and I really need to make X dollars. Can you relate to this? In the end, we just want to grow our business but it feels hard. It feels daunting when you see a business that is so much more successful. Frankly, if we are honest, it feels impossible at times. Chris talked about this feeling and how overwhelming it can be at times. This is why he lives by a few rules each and every day. He breaks his goals into mini goals with his time and his overall growth. Basically he reminded us that the odds of going from 10 hits a day on a blog to 10,000 hits a day in a single week is nearly impossible. So instead, what if we just tried to improve by 5% every day or every week. 5% is achievable. We can all set a timed goal of 5% improvement. So I pass along to you this challenge. Stop trying to double sales. Stop trying to lose 50 pounds. Try to lose 5% of your goal. Try and increase website hits by 5%. I hope that Chris inspired you as much as he inspired me. He wrote a book that you should really check out. It is called The Freaks Shall Inherit The Earth, you will love it. 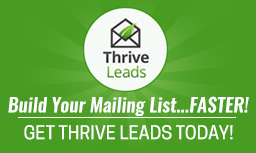 My goal is increase email newsletter signups by 5% in the next two weeks. That means that I need 11 new subscribers. So please check out my email optin below and consider signing up. How can I help you with your goals? Reply to this blog post and let me know.